Sitting around the campfire at Hamlin Lake in Michigan, I noticed an awesome light shot begin to unfold. I scattered inside for my gear and framed up this shot. 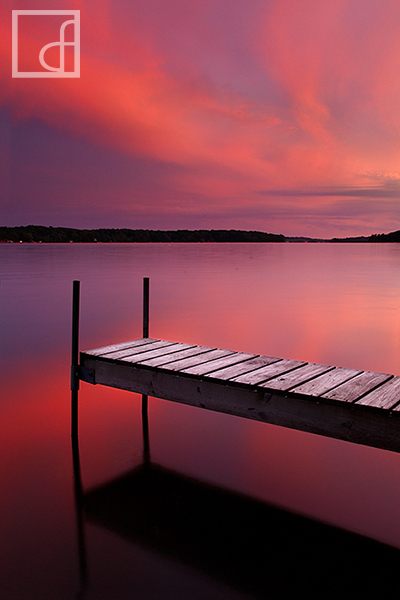 The sky was burning in this beautiful red which reflected off the lake to create this all round vibrant photograph. Secure your limited edition, Hamlin Lake print, 'Heaven's Glow', by selecting your desired print size in the menu to the right.